vandhu – incarnated in this world. ethirAsan – and the one who is also known as ethirAsan. 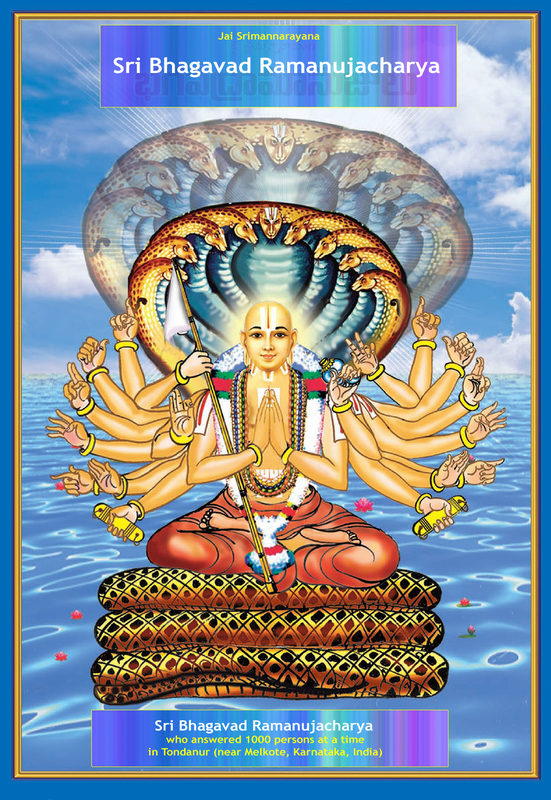 maNavALamAmunigaL who is also known as periya jIyar, incarnated in this world. During this time, he was bestowed with bhakthi of the highest order known as parama bhakthi by none other than yathirAja, the one who is seen adorning a beautiful garland from which honey oozes out. maNavALa mAmunigaL wrote with much interest (Arththi) about the significance of the lotus feet of yathirAja and that work is celebrated by the name of “Arththi Prabandham” in beautiful thamizh language. This work is targeted toward the ignorant souls and serves as the food for their intellect. vambavizh – blossomed just then. maNavALamAmunigaL who is seen adorned with a garland of flowers that had just blossomed, blessed us with a work called “Arththi Prabandham”. He regarded that his feet are not fit to live in this beautiful world and wanted to expedite his going to paramapadham, the place of worship for nithyasUris. This was possible for maNavALa mAmunigaL only due to the grace of emperumAnAr. This entry was posted in Arththi prabandham, Other and tagged aarthiprabandham, mamunigal, ramanuja, thaniyan on June 5, 2016 by santhanam rajagopalan. Could adiyen know the author of Thaniyan for Aarati Prabhandham? It is unclear who the author is. Possibly, piLLai lOkam jIyar.